We designed this bag to answer two questions: firstly, what do you do when you’re on an extended trip and find yourself needing more storage because you accidentally bought something? 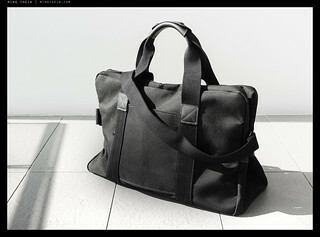 And secondly, what is the ideal weekender soft bag? 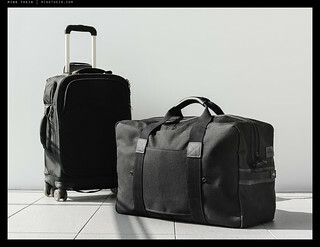 We believe the folding Travel Duffel is the perfect solution to both. 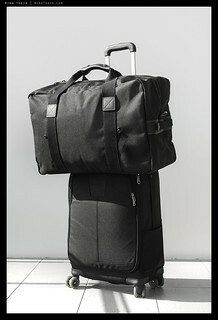 Folded, it occupies very little space in your check in bag at just 36x27x7cm, but expands to maximum carry on size when fully expanded (approx. 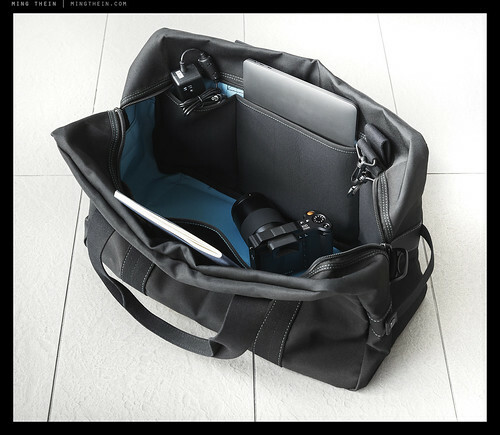 45L, will stretch a little) – it’ll comfortably fit seven of the Mirrorless Bag, with room to spare. 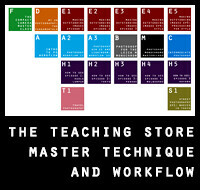 There’s also an intermediate stage with the ‘arms’ folded in, for when you don’t have that much stuff to carry. 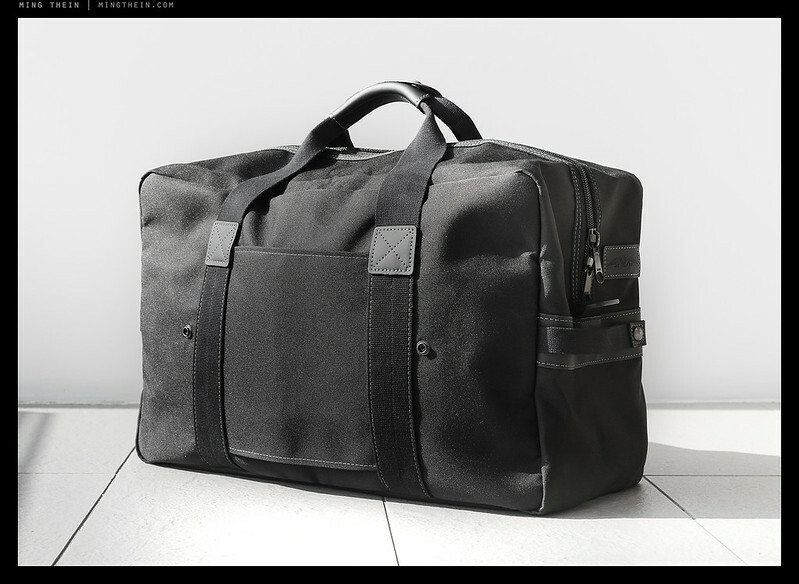 The duffel is made from black 1000D ripstop cordura, lined with 300D cyan nylon for ease of locating items at the bottom, and water resistant. 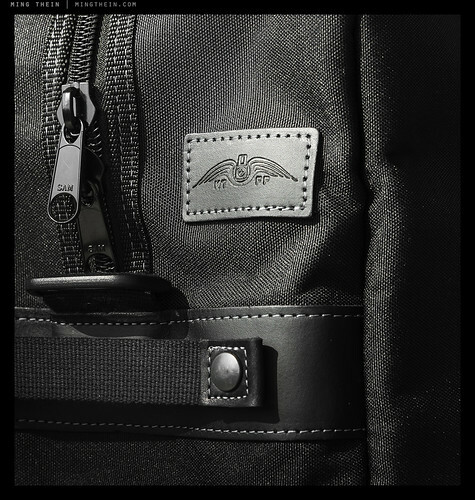 The double heavy duty zip is lockable (lock not included). 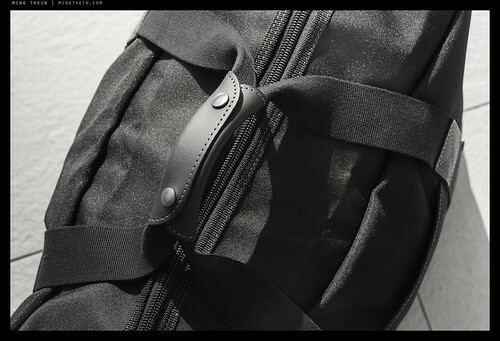 It’s also reinforced with the same thick cotton canvas webbing we used for the shoulder straps of the Ultimate Daybag and Mirrorless Bags; which is used again on the handles and included detachable (and adjustable) shoulder strap. 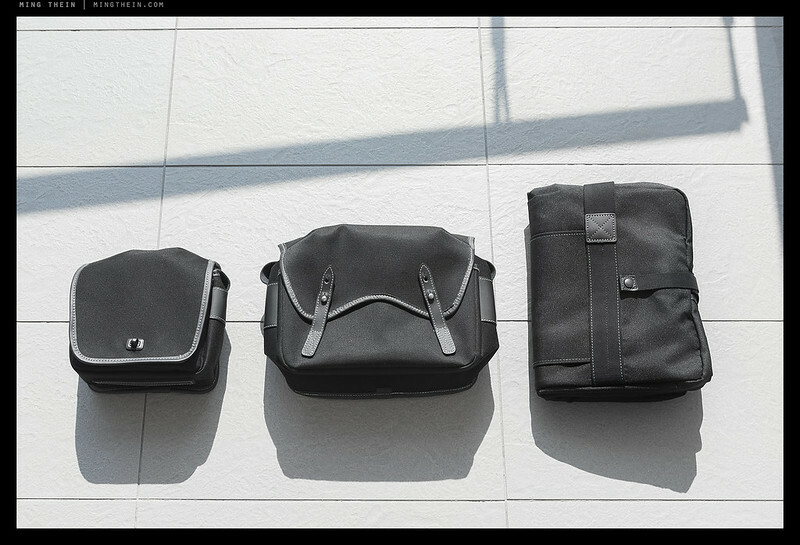 The back (or front, if you prefer) of the bag has a large keeper for use with rolling luggage, and there’s a comfortable soft leather keeper for the main handles of the bag. 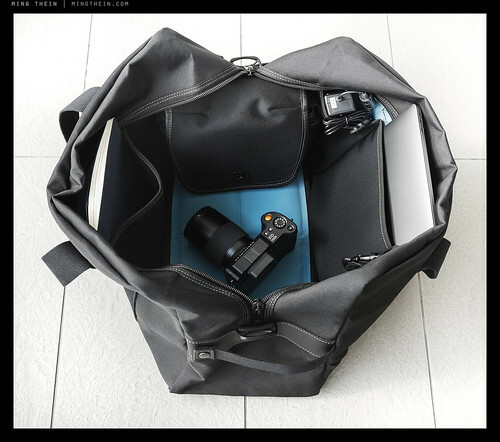 The inside has six expandable neoprene pockets – three on each side – for organisation and storage; the centre pocket on each side is large enough to fit a 13″ Macbook Pro or iPad Pro. Thanks to some rather cunning origami-like stitching, the bag always folds the same way: collapsing inwards on the centreline, and then folding in half. You can see this in the base construction (also padded with neoprene to prevent direct contact with the ground).